JTV is celebrating its 24th Birthday and you get the gifts! Enter the Your Happy Place Sweepstakes 2017 daily through October 24th by registering online at JTV.com/happy and you could win up to $10,000 cash. Plus, you could be the winner of a weekly $250 JTV shopping spree. 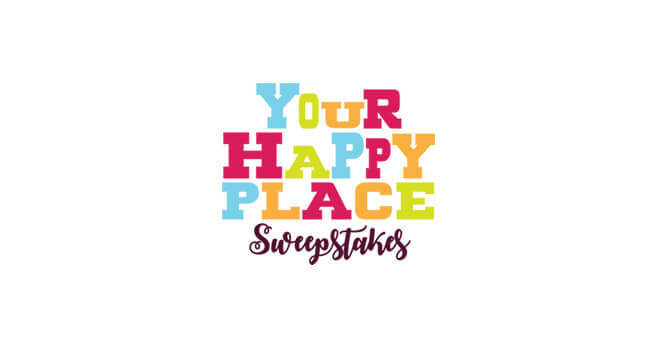 Your Happy Place Sweepstakes is open only to legal residents residing in the 50 United States and Washington D.C., who are 21 years of age or older at the time of entry. Void in Puerto Rico and other U.S. territories. Void where prohibited by law. Entries for the Grand Prize and Runner Up Prizes can be submitted beginning at 12:01 AM (ET) on September 1, 2017 and must be received by 11:59 PM eastern time (ET) on October 24, 2017. To enter the Grand Prize and Runner Up Prize drawings, each person must fill out and submit a completed registration form during the Sweepstakes Period online at www.JTV.com/happy. Limit one entry per person per each day of the Sweepstakes Period.